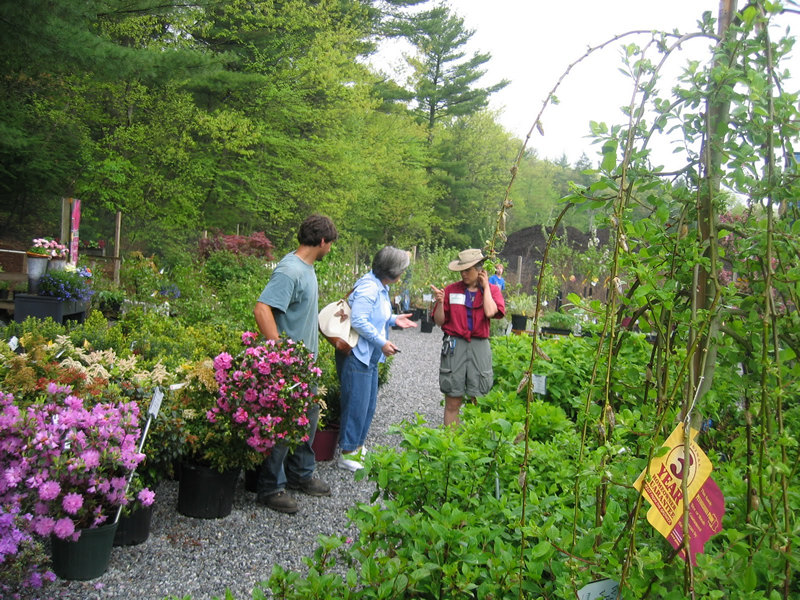 Grasshoppers Garden Center ~ Everything NH Gardeners Need! 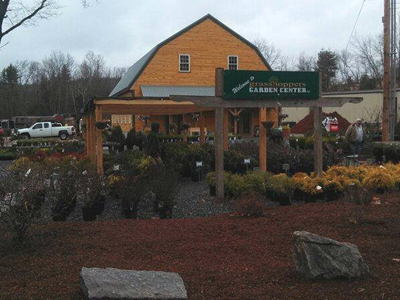 Grasshoppers Garden Center is fully stocked with everything NH Gardeners Need! 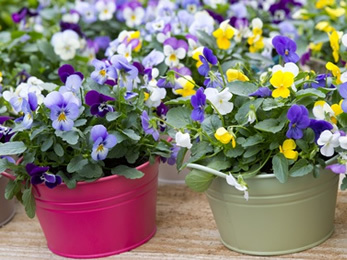 Drop in and check out our gardening supplies. 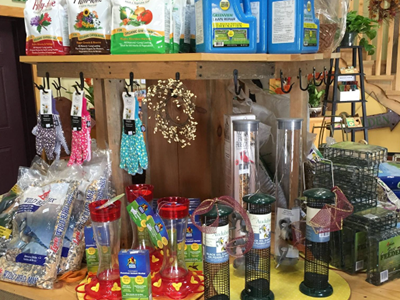 Grasshoppers Garden Center has gardening tools, gloves, watering cans, hoses, sprinklers, tomato stakes and cages. 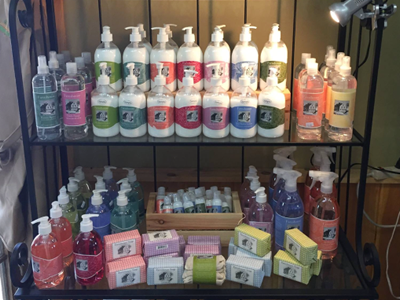 Drop by on your way home and pick up what you need, and while you're here check out the many new gift items in Grasshoppers Country Store and Gift Shop. 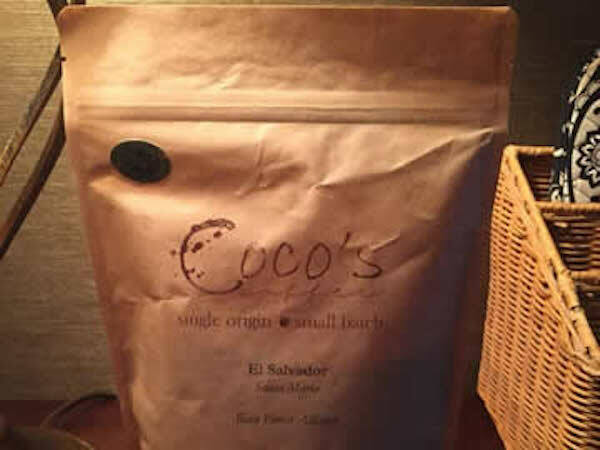 While your here, pick up our newest offering, Coco's single origin, small batch coffee to have for breakfast! 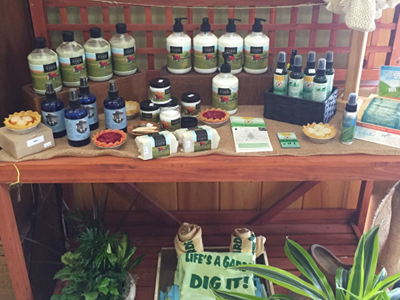 Enjoy Local Certified Organic Farm Products from Grasshoppers! 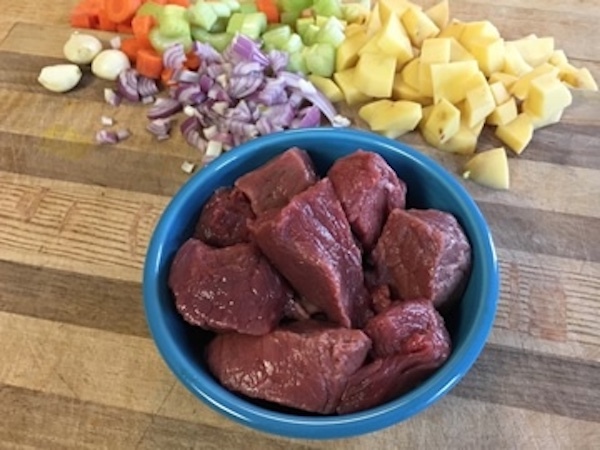 Grasshoppers Garden Center is now carrying all of this delicious food from Brookford Farm in Canterbury, NH, a certified organic farm. 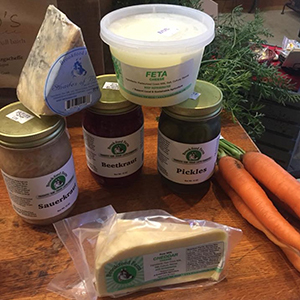 We have sauerkraut, beet kraut, cheddar cheese, blue cheese, feta cheese, pickles, carrots, with more delectable products to come! Mmm...wouldn't some Brookford Farm products from Grasshoppers make your dinner even more tasty? 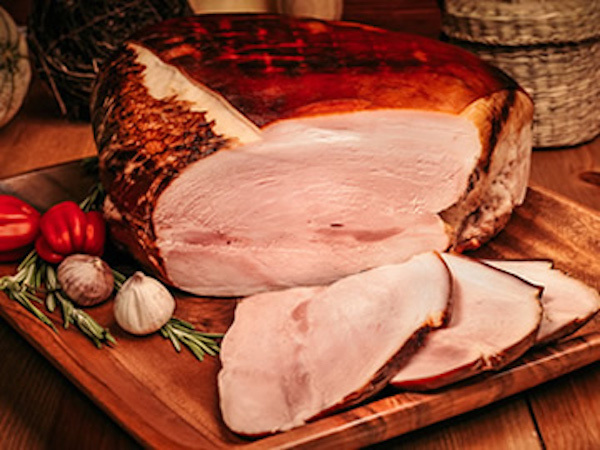 Stop by and pick up something healthy and delicious! 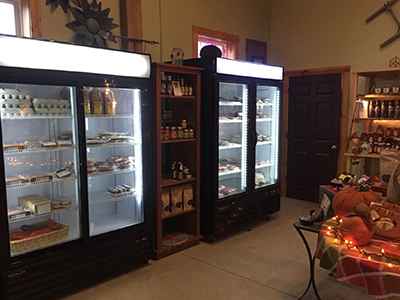 Drop by and check out our new glass front refrigerator and freezer. 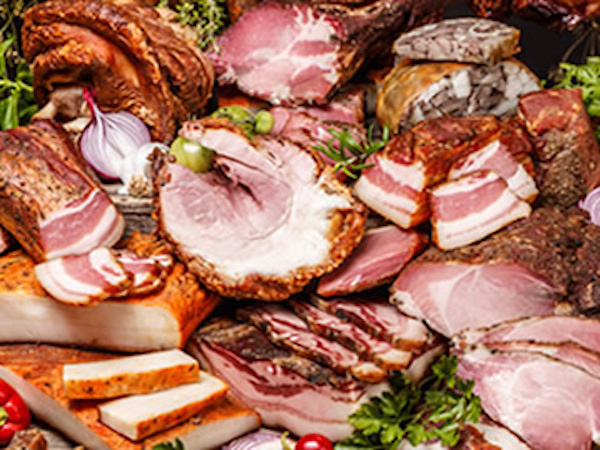 We are fully stocked for all your meats, cheeses, bacon, kielbasa, eggs, milk and dairy products. 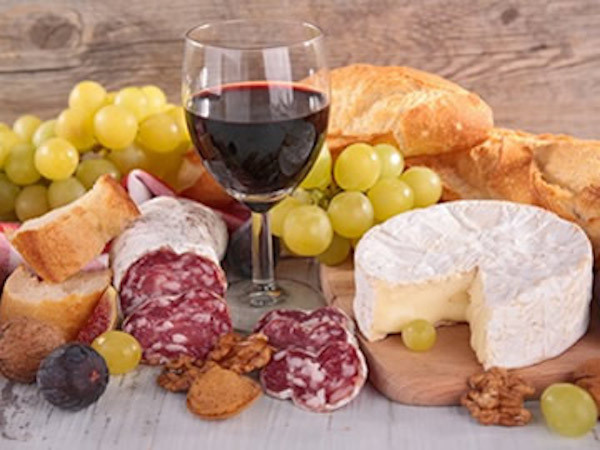 How convenient to stop by on your way home from work to pick up what you need for dinner. 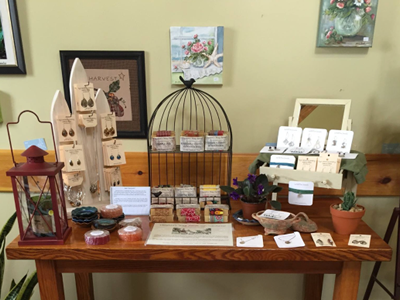 Grasshoppers Country Store & Gift Shop is open year round and is fully stocked with unique gifts that are sure to delight the special people and gardeners in your life. 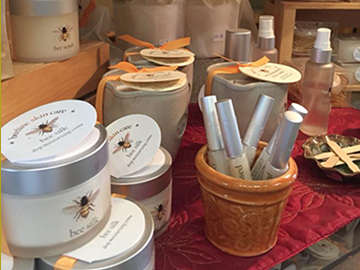 In our gardening store and gift shop, we have full line of NH made products like olive oil, maple syrup, honey, jams, jellies, mustards, salsas, all-natural seasoning blends, dips and pancake mixes, soy based candles, laundry sachets, soaps, lotions, lip balm, hand cream, shaving cream, decorative dish towels, organic dog treats and so much more. 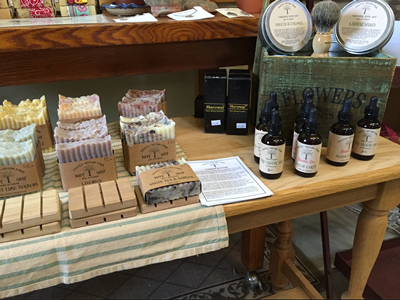 Like us on FaceBook to see our Specials! 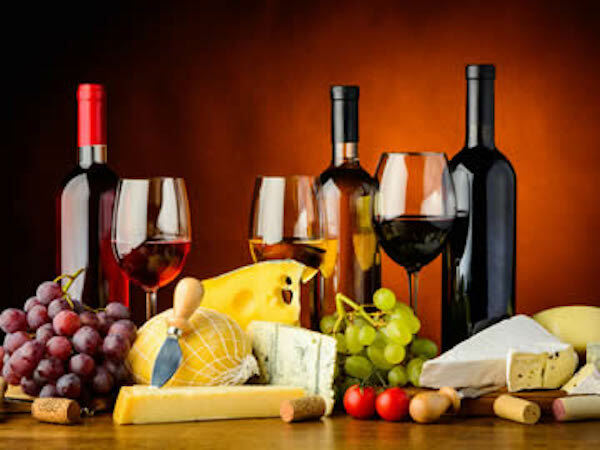 Don't know what to get? 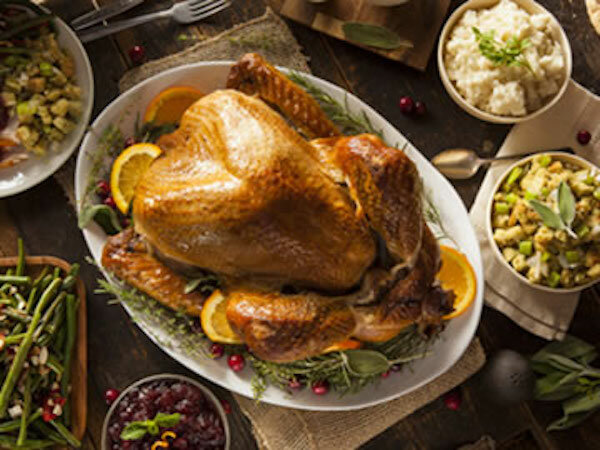 Grasshoppers has Gift Certificates available. 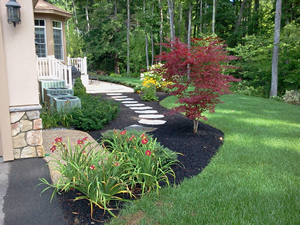 With 30 years of NH Landscaping experience, at Grasshoppers, we know what works. Just ask, we’d love to tell you. 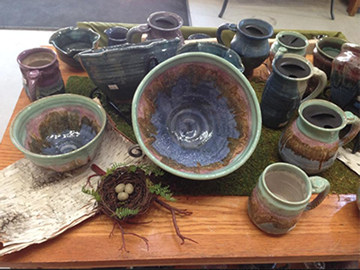 So whether you’re an experienced gardener or a new gardener looking for ideas to beautify your home - Grasshoppers can help! 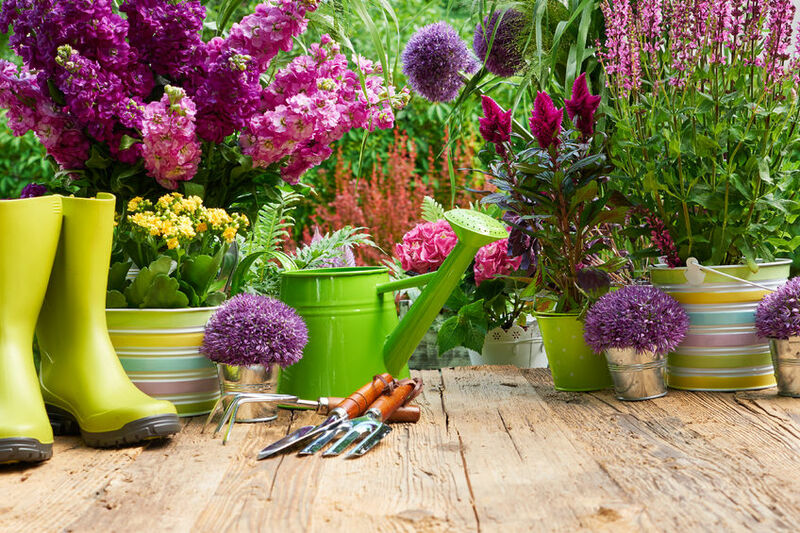 Click Here for Grasshopper Garden Center's Free Planting Guide! 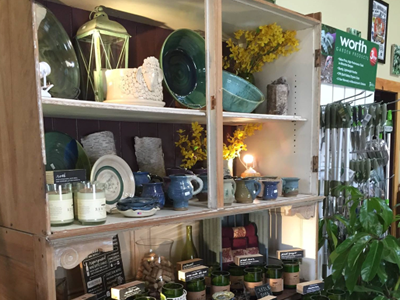 We specially designed our store for our guests to walk through our gardens and become inspired on ways to brighten up their own homes. 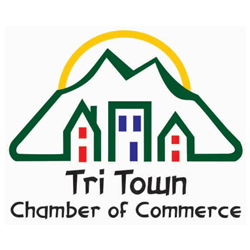 We're conveniently located in New Boston, a short drive from Amherst, Mont Vernon, Goffstown, Bedford, Manchester and Weare. Hope to See You Soon! 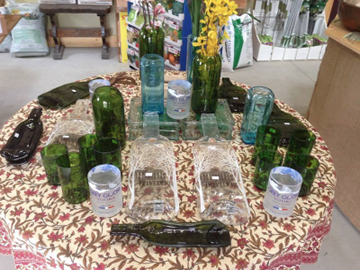 At Grasshoppers Garden Center, quality matters. 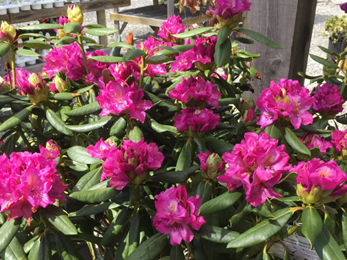 We buy all of our plants from high quality distributors so we can offer guarantees on our trees, shrubs and perennials. 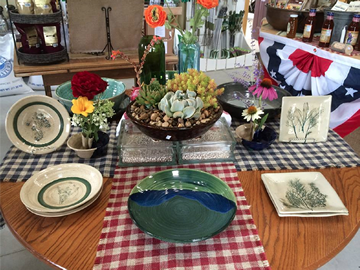 At Grasshoppers Garden Center, you can be sure that you’re buying the best. 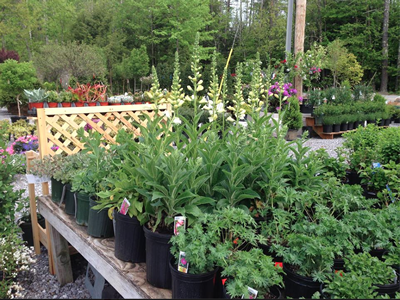 Grasshoppers Garden Center is fully stocked with a large selection for your NH planting needs! 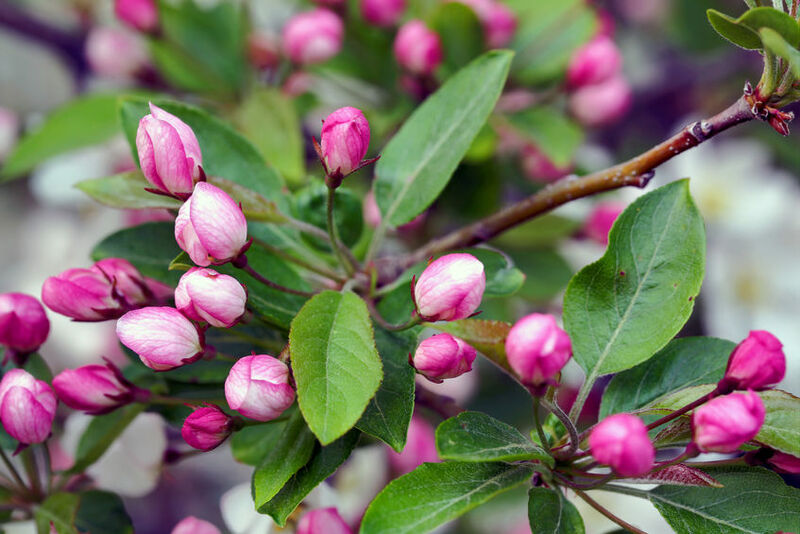 Spring and fall are great times of the year to plant trees and shrubs. 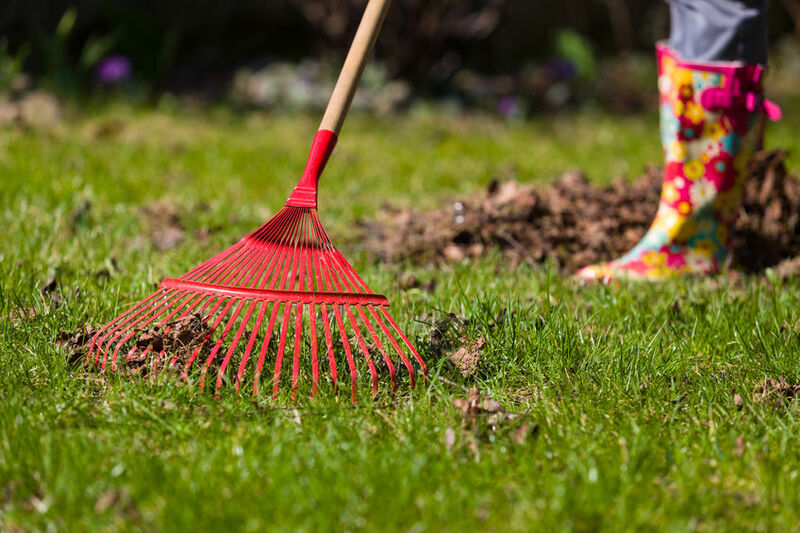 Cooler weather and ample rain gives newly planted trees and shrubs an opportunity to get established before winter begins. Don't know where to start? 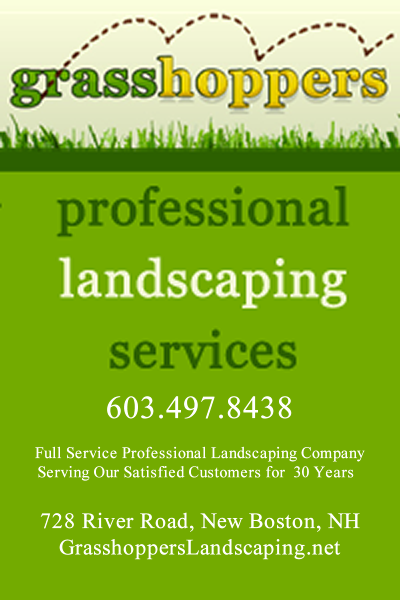 Grasshoppers' landscape design professionals can help! Call 497-5788 today to schedule your appointment and bring a picture of your home when you visit. 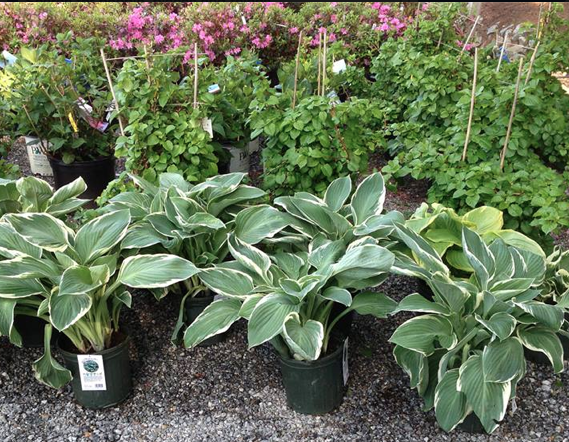 We are able to offer next-day delivery for large items like trees because we have a landscaping business. 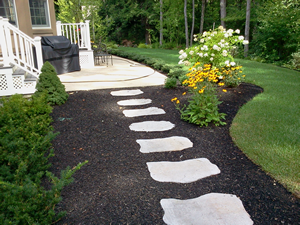 For more information about our landscaping company, visit our website.